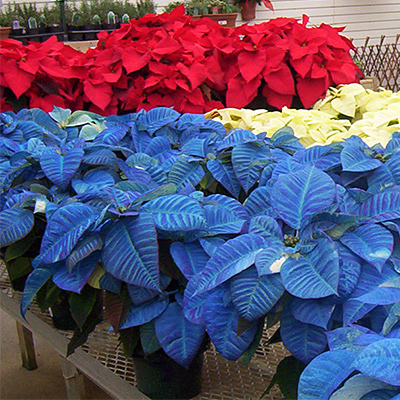 Poinsettias include decorative foil pot cover and protective plastic sleeve. Apricot and yellow. 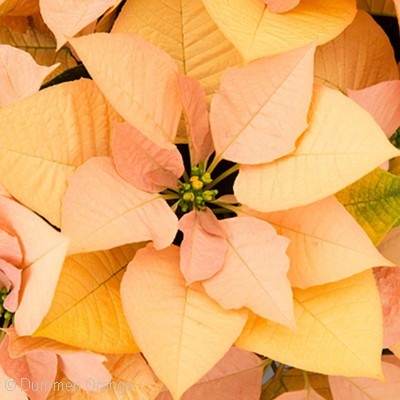 Trendy and unique golden color. 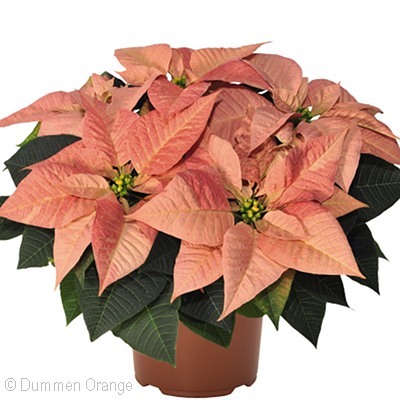 Dark Maroon with orange cyathias. Perfect for a classy Christmas display. 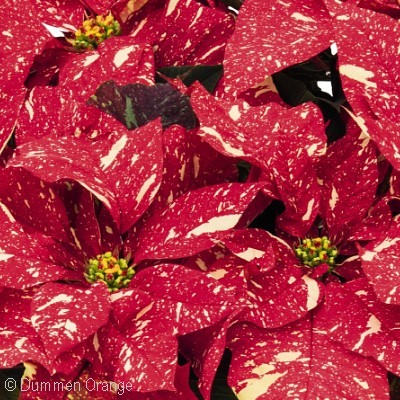 Cream with festive pink speckles. Blue, Yellow, Purple - the possibilities are endless! We'll create to-order. 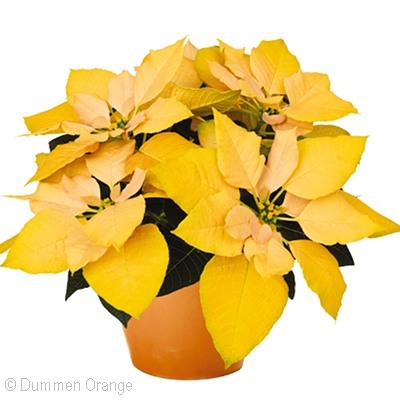 First true golden poinsettia! 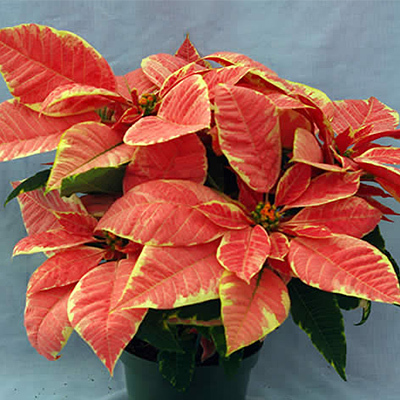 Elegant accent for gold and red Holiday themes. 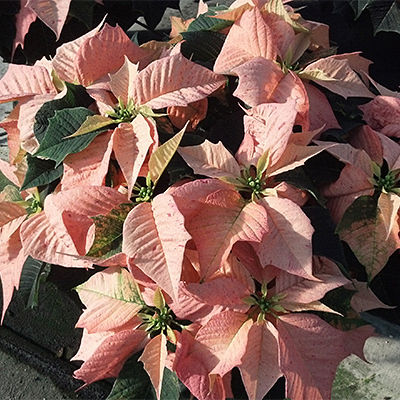 Variegated garnet/cream bracts - a swift PUNCH of color! 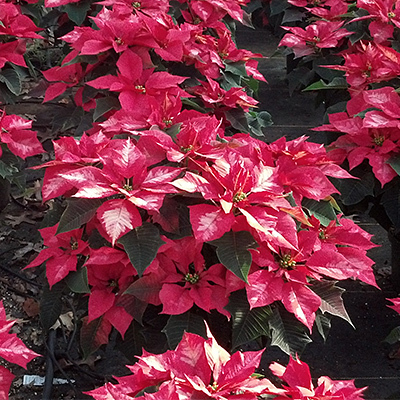 Sizes: 4.5" || 8" || 10"
Traditional burgundy bracts - elegant and showy! 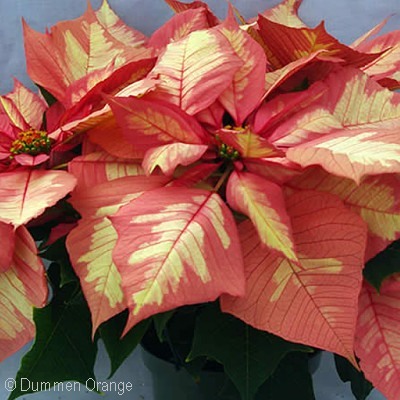 Apricot colored with dark pink flecks on the bracts. 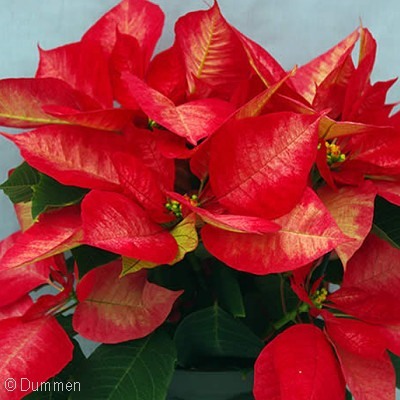 Vibrant red bracts - Bold Holiday color! 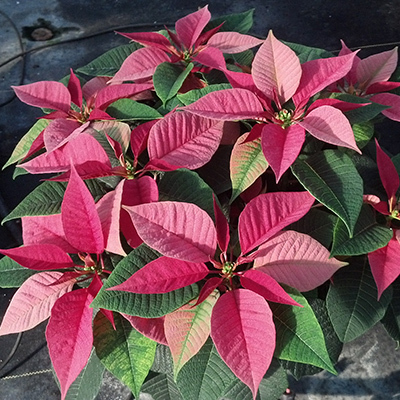 Pink bracts - Bold & Festive for the Holidays! 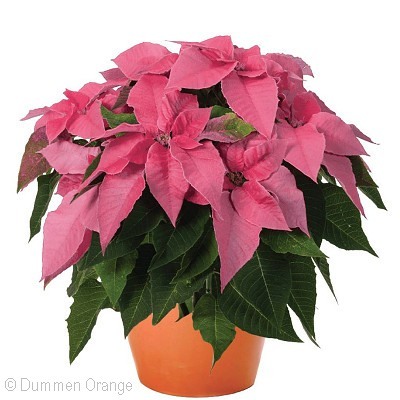 Traditional pink bracts - pretty in pink for the Holidays! 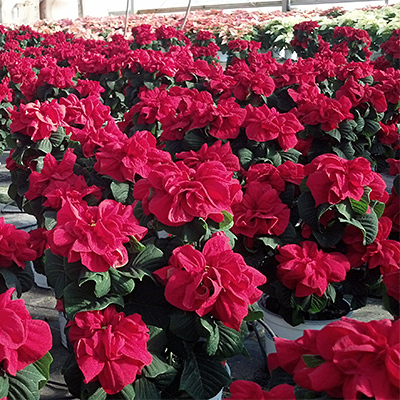 Sizes: 4.5" || 8" || 10" || 14"
Traditional red bracts - a true classic! 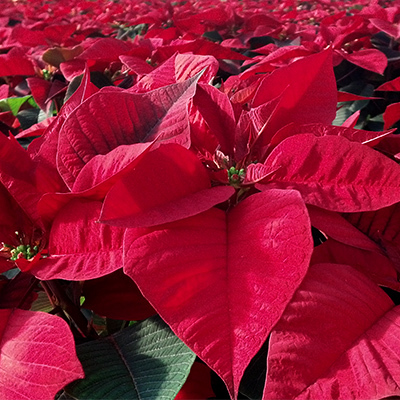 Brick red with white splotches and specks - Festive and fun look for Christmas! 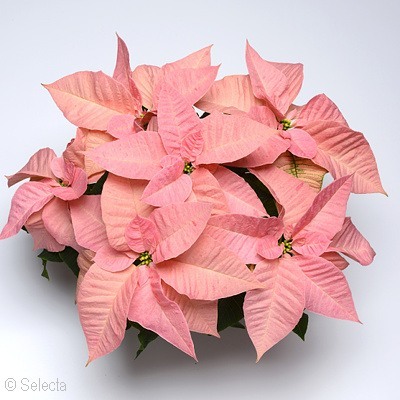 Pale pink with a striking streak of white down the center - elegant and class this Christmas! 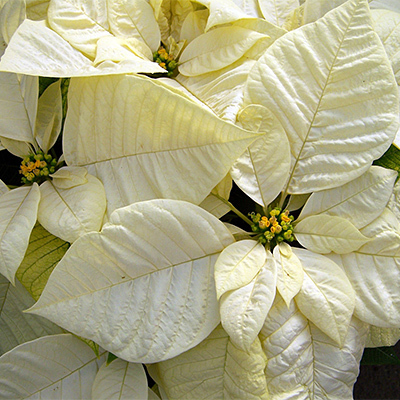 Traditional white bracts - make it a White Christmas! 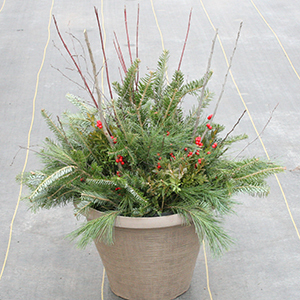 Decorative containers filled with an assortment of evergreen branches, colorful stems, and berries. 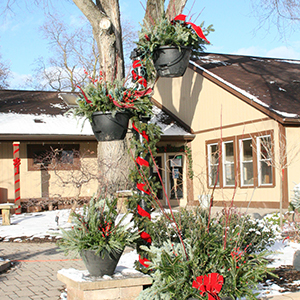 Ask about custom containers to meet your distinct needs! 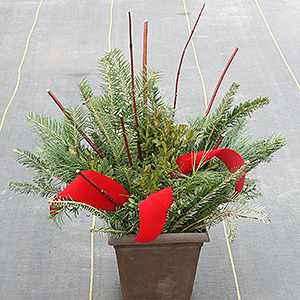 Festive evergreens - perfect for a table top. 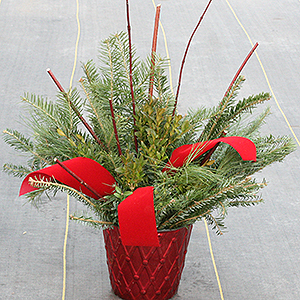 Festive evergreen cuttings for your front porch. 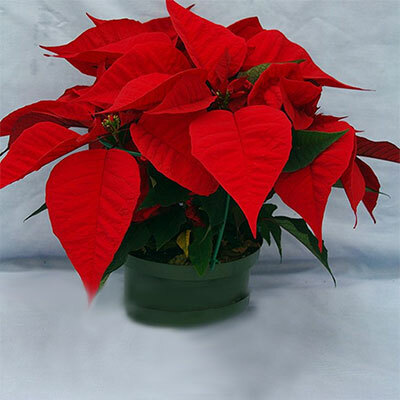 Let the season shine bright with this large festive container at your front door! 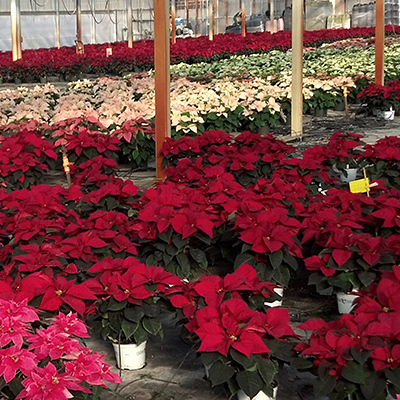 Easily create a festive neighborhood this Holiday season! 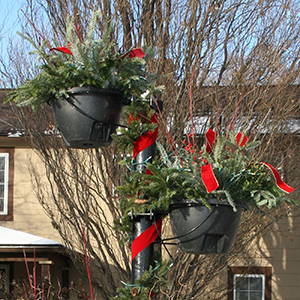 Designed to fit inside our Municipal Hanging Pots (23" H20 Labor Saver hanging containers and 16" The Weekender hanging containers - see availability below), our inserts are filled with an assortment of evergreen branches, colorful stems, and berries. 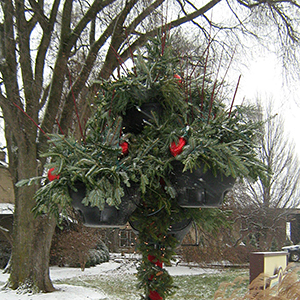 Advance notice is required for this custom planting - please call your Acorn Sales Representative for more information.